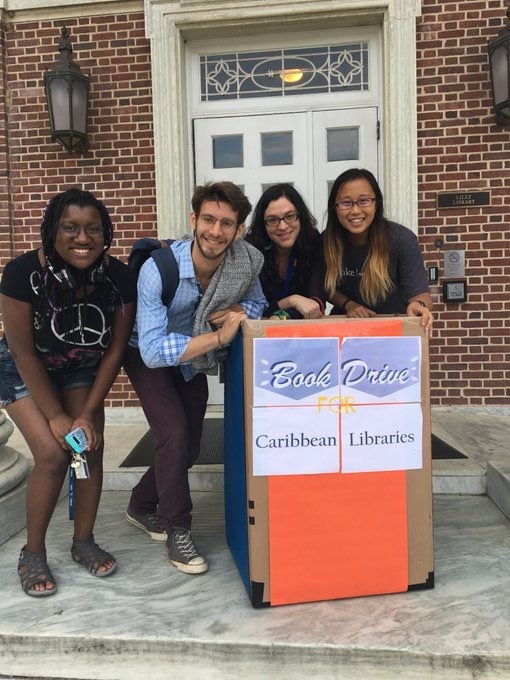 In March 2018, Duke Story Lab partnered with local Triangle organizations to put books back on the shelf in Caribbean Libraries impacted by Hurricane Maria. Thanks to the support of book lovers nationwide, we collected 1,602 books and $1,818! When Hurricane Maria hit the islands of Dominica and Puerto Rico as a Category 5 hurricane it was one of the worst natural disasters ever to hit these islands. Housing, roads, telecommunications, and agriculture were devastated by wind, rain, flooding, and mudslides. One of the less visible consequences of the destruction was the abrupt restriction of public access to books and educational resources as libraries, public and private alike, were damaged by the storm. 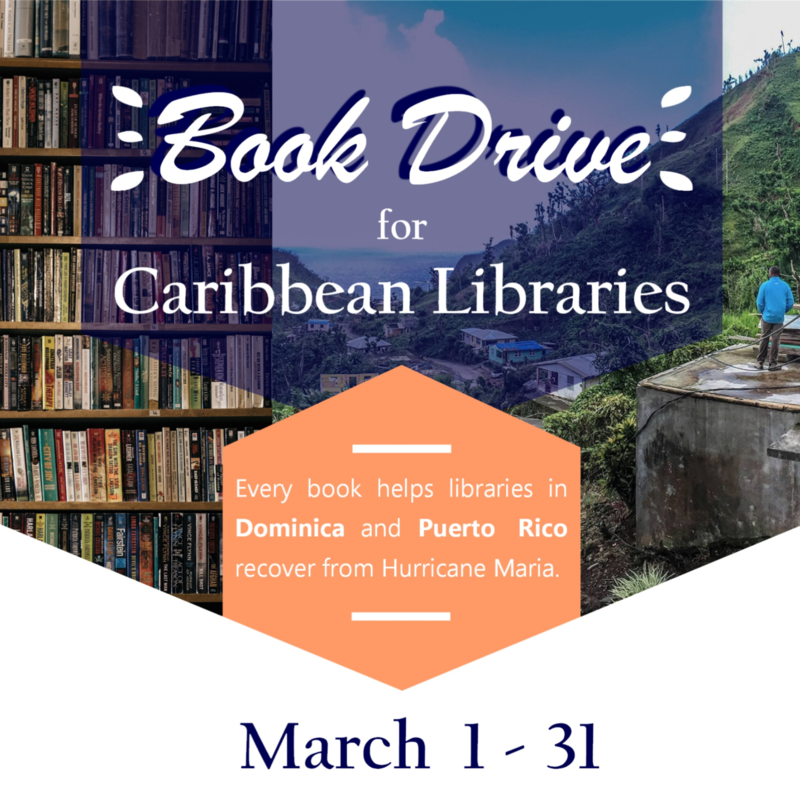 The books and funds raised in our drive went to our partners at Dominica State College, the Roseau Public Library in Dominica, and Biblioteca Pública Municipal de Loíza in Puerto Rico to restore books that were lost in the hurricane. Some of the people who gave included: a fifth grade class from another state, a dedicated soul who drove over a whole carload of books amassed from among friends in Tennessee, publishers who contributed new books out of overstock and returns, and professors who donated out of their private libraries. 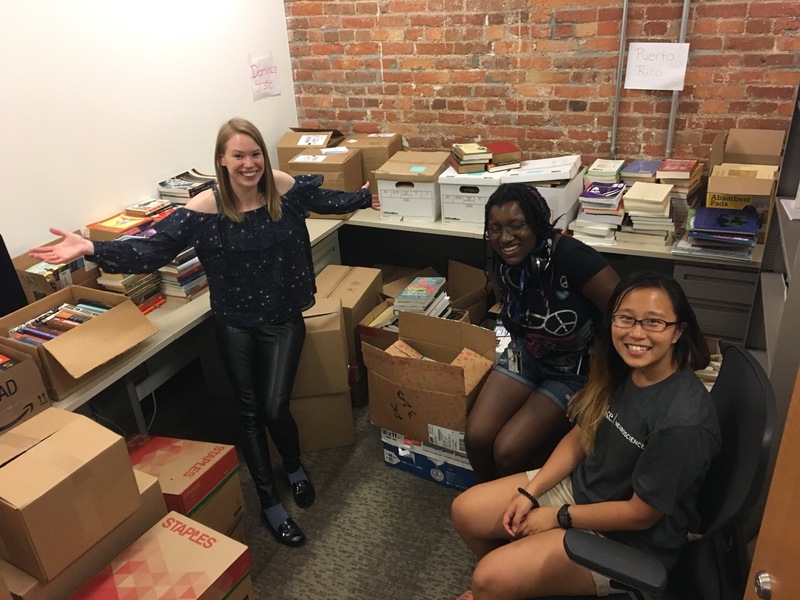 Among the books donated were many, many volumes about the Caribbean and the African diaspora, as well as a lot of brand-new YA novels with protagonists of color. 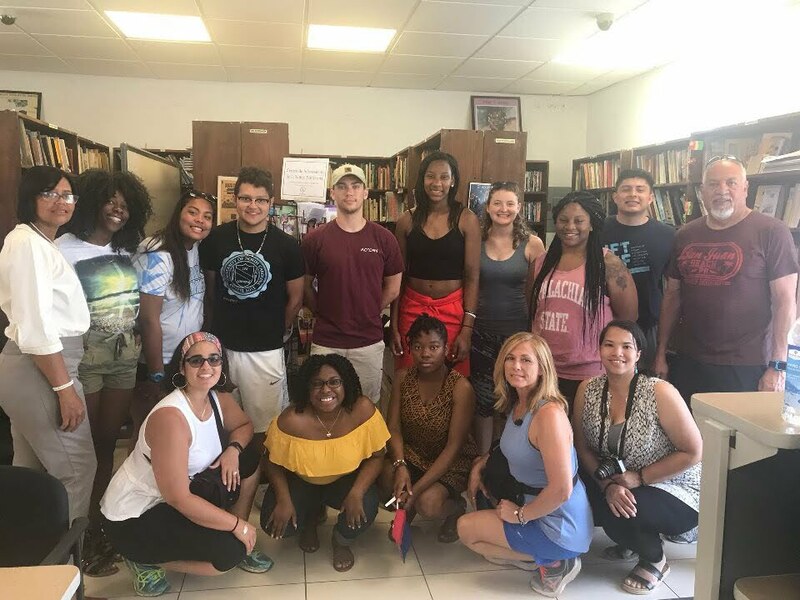 We are so grateful for everyone who made this drive a success, including our friends in Duke Libraries, the Center for Latin American and Caribbean Studies, the Forum for Scholars and Publics, the Students of the Caribbean Association, the Regulator Bookshop, and our colleagues down the road at UNC-Chapel Hill’s Institute for the Study of the Americas.